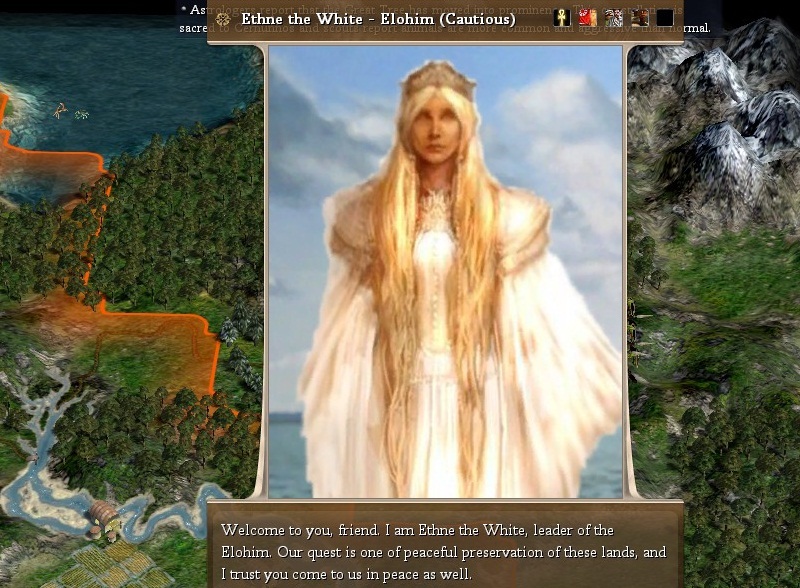 So, I thought it was about time I gave Civilization IV: Fall from Heaven 2 another shot. I enjoyed playing and writing my last AAR, so why not do the whole thing again? This time though, I’ll hopefully win! So, without further ado, lets get started. This time around, I’m going to go a nice straight forward race: the Clan of Embers. None of this heroic nonsense. We’re going to set the world ablaze and then claim it for the orcs. I decide to take Sheelba as my leader as the has the more interesting back story, and the aggressive trait will probably come in handy. That isn't meant to read "Braduk the Burning Goblin." The city is called Braduk the Burning, and it is currently recruiting some goblin scouts. My plan at this stage of the game is to recruit a few goblin units and go wolf hunting. This will give me the lay of the land and with a bit of luck, I’ll end up with a good few units of wolf riders. This early on in the game, they’ll be a formidable force. Sadly, this doesn’t go to plan. At all. I appear to have founded my Orcish clan on the western peninsula of a large landmass. 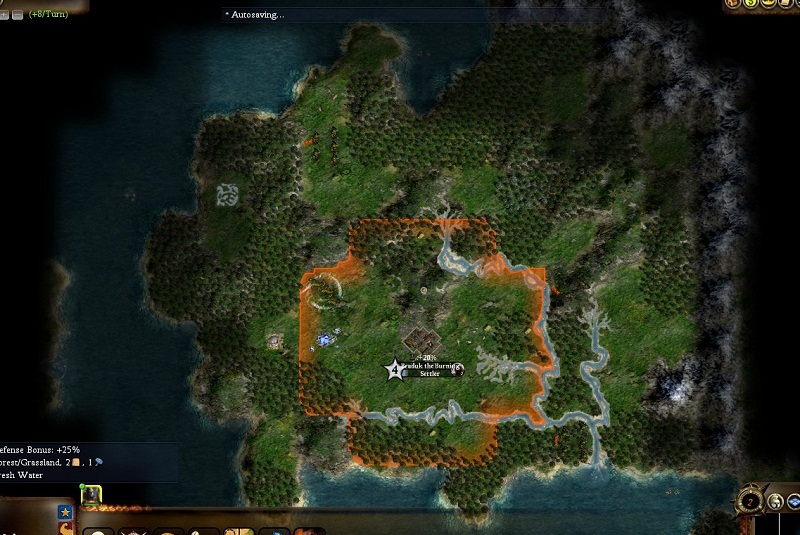 And sadly, there’s an impassable chain of mountains blocking me off from the eastern lands. The only way to expand is by boat. While this would be an ideal defensive position to build up a cultured and enlightened civilisation, this isn’t the orcish way of doing things (we can’t even build libraries!). So boats it is. Shame I didn’t build my capital on the coast isn’t it. This is going to make an early rush strategy a lot harder. My lands, such that they are. The reason warrens are so incredibly useful is that they allow me to train two military units at teh same time, for the cost of one. (BOGOF on orcs!). Once I get the orcish navy up and running, there will be a never-ending stream of savage warriors sailing out from our peninsula. It will be like a coastal Mordor! On the day of her birth, the king decreed that his daughter would never witness the suffering of the world. So Ethne grew up in luxury, tended to by an obedient staff, and she never saw the world past the lavish gardens that surrounded the palace. She grew into a gentle-spirited girl, not expectant or demanding as one might expect of a child in her situation, but kind, without malice of any sort. Well, I guess I’ve found my first target. Fun stuff! Those Elohim won’t know what hit them. Every time you talk about FfH2, I’m sorely tempted to reinstall, but I doubt my schedule could bear it. Yeah. what I love about this game (and Civ IV in general) is a lot of emergent things can happen. ie. in this game, I’m going to be a race of orcish pirates!